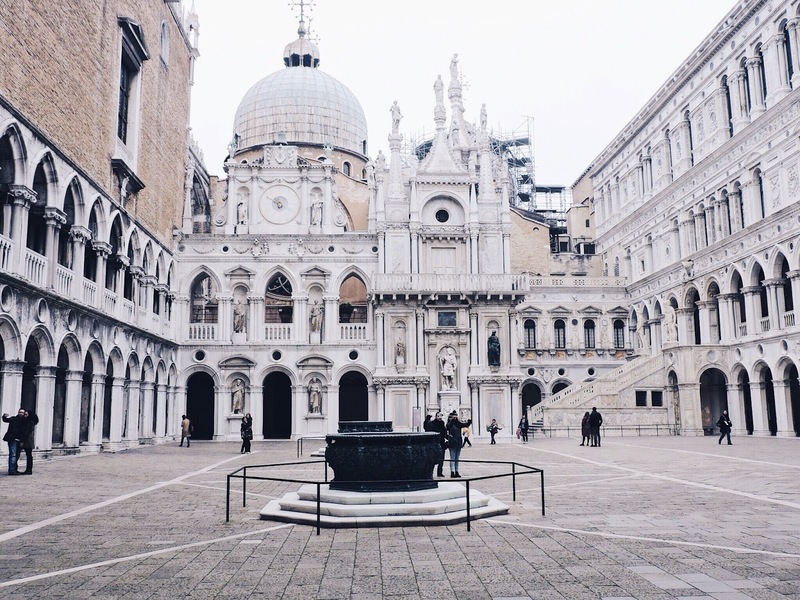 Travelling to Venice soon? 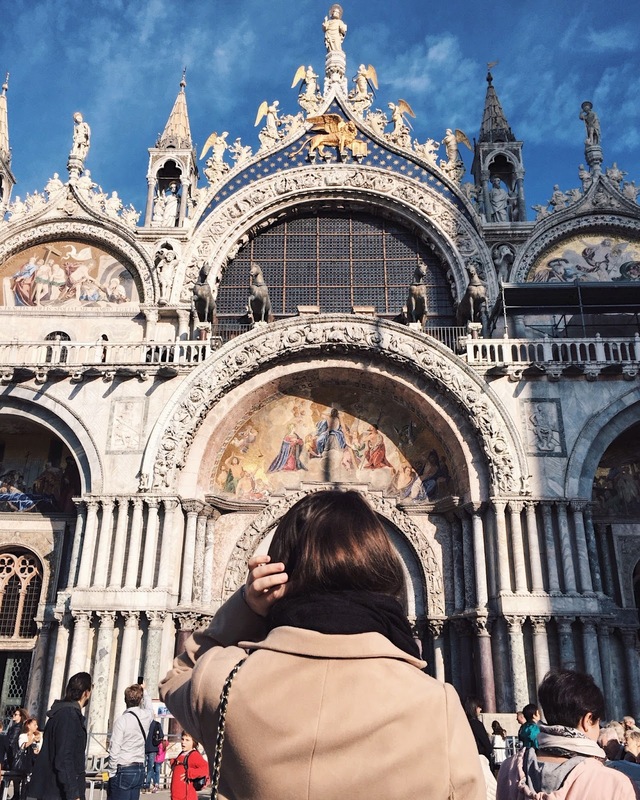 Well then your trip itinerary is sorted because in this post I will show you the best sights of Venice so you won't miss a thing! How to get to the centre and General transport in Venice. 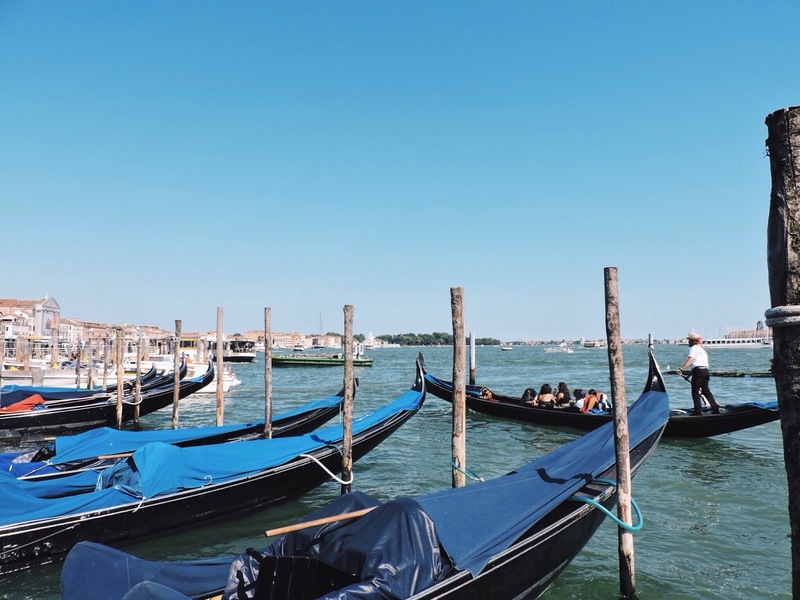 Ok so I guess it's pretty well established that Venice is on water and there only mode of transport is by boat -this includes taxis and busses! I've been to Venice three times now and every time I travelled there it was always by train (either Italo or Trenitalia). From the train station you will see different docks, go up to the ticket area of the dock and ask for a ticket to Piazza San Marco (the centre of Venice) usually from here it's easy to navigate where your hotel is. The ticket is quite expensive at €8 but it's actually an amazing trip if you manage to get a place sitting outside of the boat. 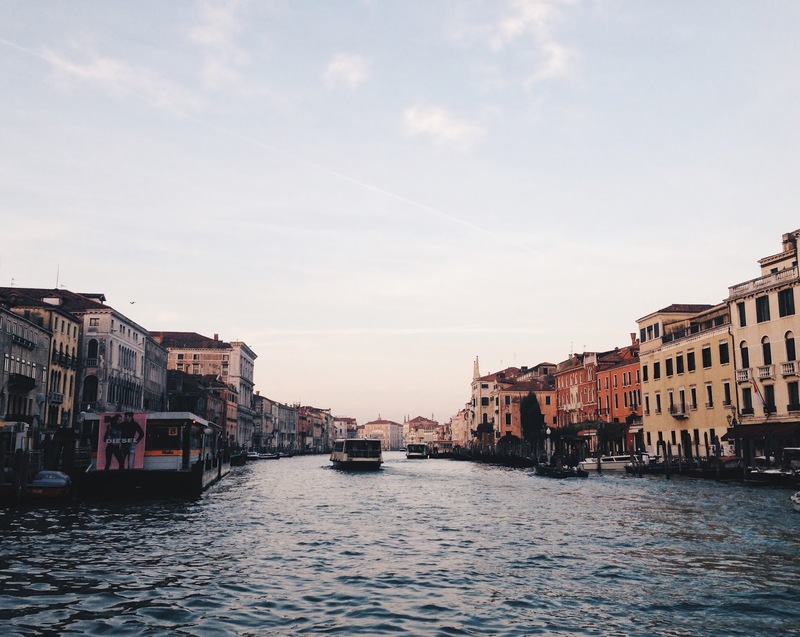 You get a whole view of the Grand Canal (the main canal of Venice) and it's a great opportunity to get some snaps in! If you decide to go by taxi expect to hand out a wad of cash afterwards. Myself and Davide were going to miss our train home and the water-bus wouldn't have made it on time so we resulted in getting a water taxi. Within ten minutes of what seemed like a James Bond film we made it to the station and paid €60! It was an amazing experience I have to admit but just be aware of the price before you take one. Last but not least is a Gondola, I go more into detail on that below! I've stayed in Venice twice out of my three visits. The first was B&B Le Marie. The perfect place to stay, it was in a quite area of Venice but only a 5 minute walk to the centre. Our room was very big and had a gorgeous view of the canals below. Breakfast was also included in the price and I really liked it. 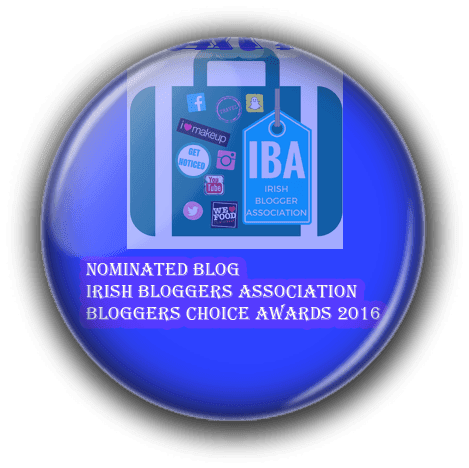 I would definitely recommend it and I would 100% stay here again! The next was Casa Cosmo, I wasn't head over heels in love as you could hear the noise from the street below as if the windows are opened. I don't mean to be harsh but I wouldn't want any of you reading thinking it's perfect from a good review I could have given. The employees were absolutely lovely and because they can't provide breakfast they actually give you some pastries in the room. Our room was very spacious and as there were three of us, we didn't feel claustrophobic. It was also very close to the centre! But just one more downfall, the WiFi wasn't too great. I would stay here again but maybe ask for a different less noisy room. In Piazza San Marco you can find St. Marks Basilica (Basilica di San Marco), a very unique and breathtaking Basilica, and as you can make out from the photos below it is made from bits of gold! It has an Italo-Byzantine and Gothic style structure. For me any Gothic style piece of architecture can make a city beautiful. The inside is just out of this world, never have I ever seen so much gold in my life. I'll leave it to your imagination as pictures wouldn't do it justice. During the summer make sure you're covered up if not you wont be allowed inside. In the 900's it was burned in a fire and had to be reconstructed. The body of St Mark was rediscovered in a Pillar by one of the Doge's at the time.This Basilica wasn't the only thing damaged by fires in its time. Next up is the Campanile which is a bell tower and stands at almost 100 meters! 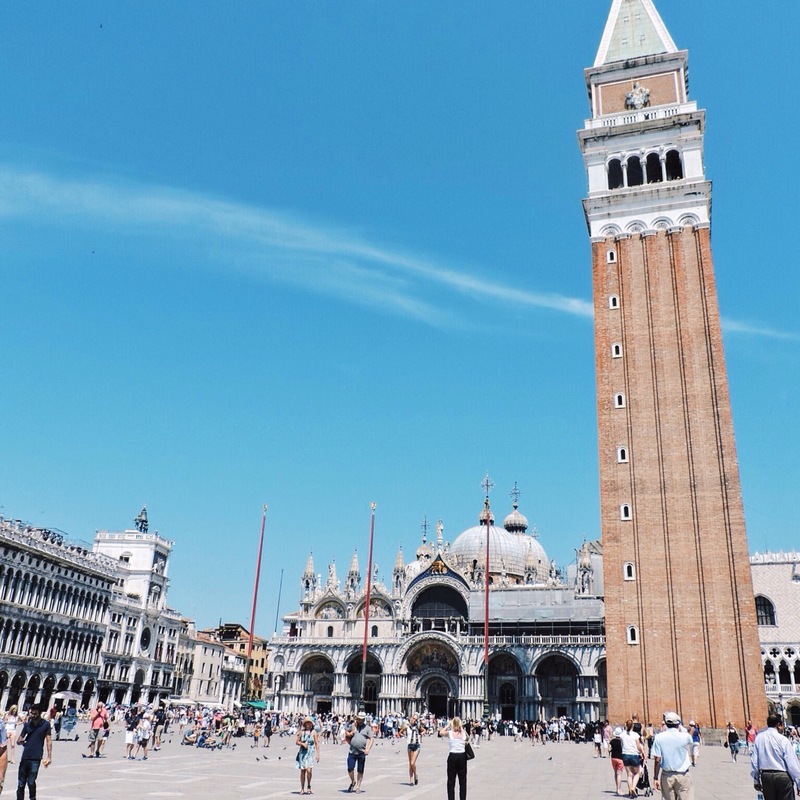 The Campanile suffered so much damage on numerous occasions from being hit by lightning, set on fire (more than once) and being destroyed, and being damaged in an earthquake! For hundreds of years to come it was continuously being struck by lightning resulting in guess what? Fire! That's until 1776, when it was finally given a lightening rod! So don't worry it's safe to go. :) It was initially constructed as a look out tower in case of attack, now if you climb to the top you get a fabulous view of Venice! If I'm not wrong it's €8 pp. This piece of History made me see Venice with another set of eyes. 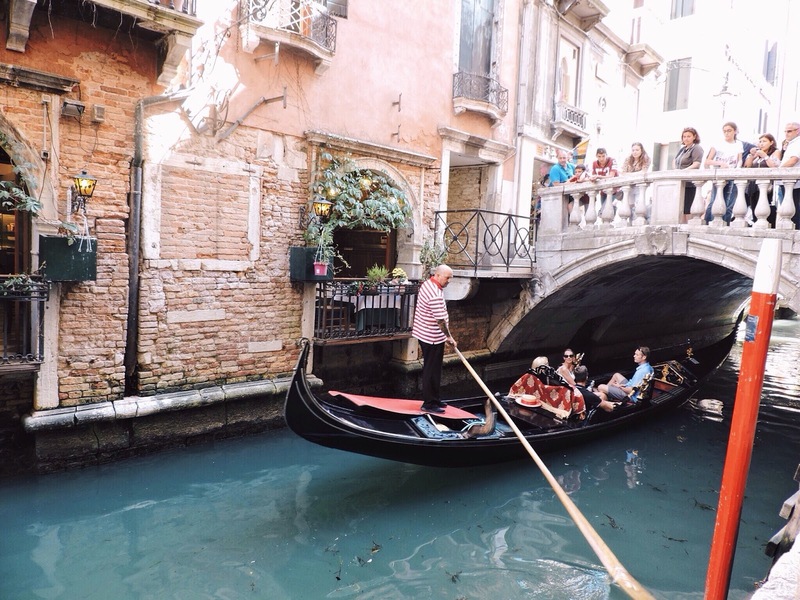 Before visiting Venice for the first time over a year ago I just thought of Gondolas and canals. See how ignorant one can be before visiting a place? This is why I love travelling as it opens your eyes to the real story of a city. 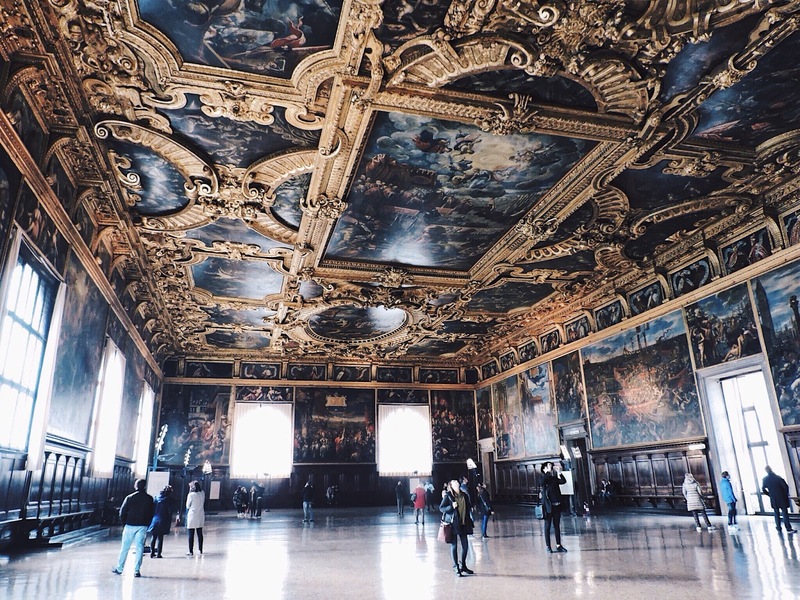 Palazzo Ducale was the Palace of the Doge of Venice. What is a Doge you ask? The Doge was the head of the former Republic of Venice- remember Italy only became unified in the last 150 years so before some cities were a republic of their own-and every Doge selected throughout time lived in this Palace. The Doge didn't have absolute power as there were other officials who contributed to the wellbeing of the Republic. Throughout time reconstructions were needed due to (yes I'm about to say it) ferocious fires (about 3 in total) breaking out. Later on a prison was connected to it by The Bridge of Sighs and from first hand experience of seeing this prison, I would not like to have broken any laws back then! 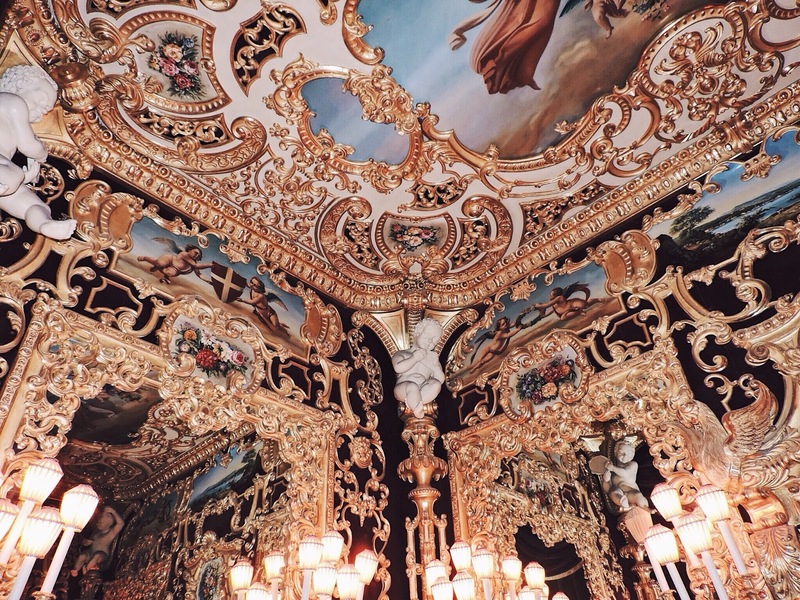 You can wander around the whole Palace, it's massive, and also experiencing stepping foot in Europe's largest room (pictured below). 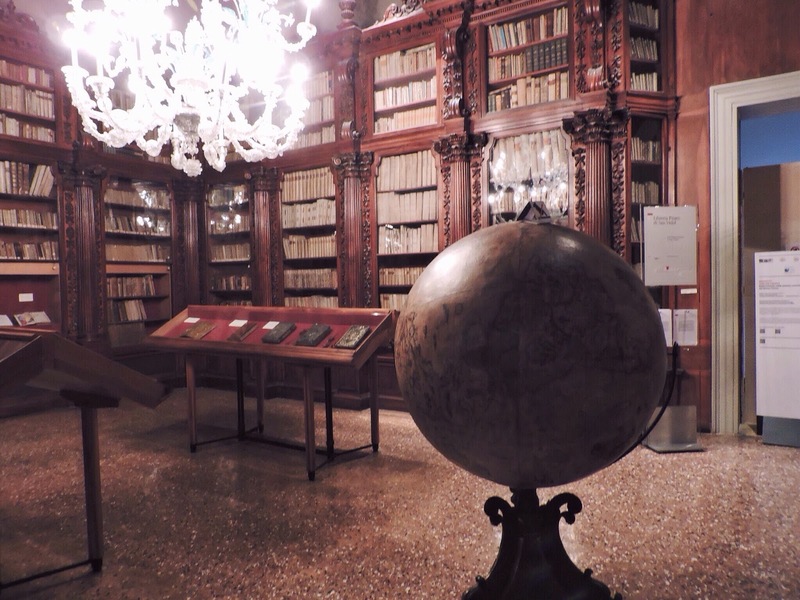 A ticket costs €12 but with this ticket you can see more museums around Venice! Something I have yet to do, but having heard many people tell me it really is something special. Why haven't I gotten the chance of riding on one of these? Because they are quite expensive ranging from €80-€120! Usually I don't travel in groups so paying €40-€60 each for 20-30 minutes is a bit ridiculous. If you are in a group it can be a lot more affordable so that way I would recommend it! 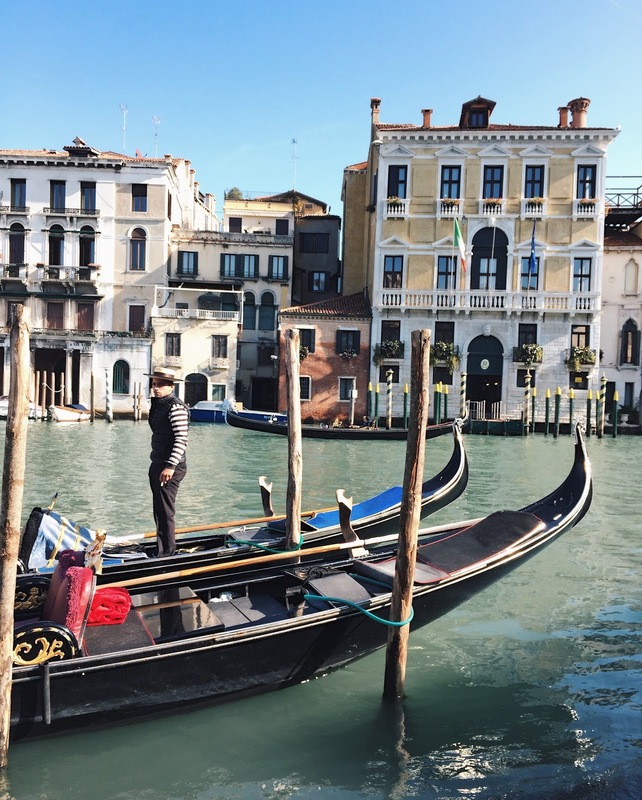 Venice is full of gorgeous gondolas and I believe it would make your Venice experience truly special. 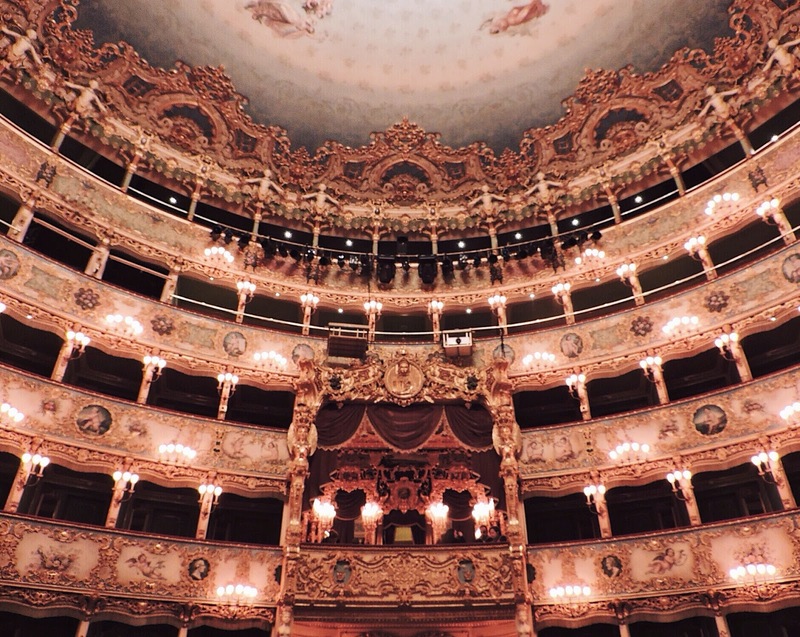 Are you a lover of classical music and Opera? 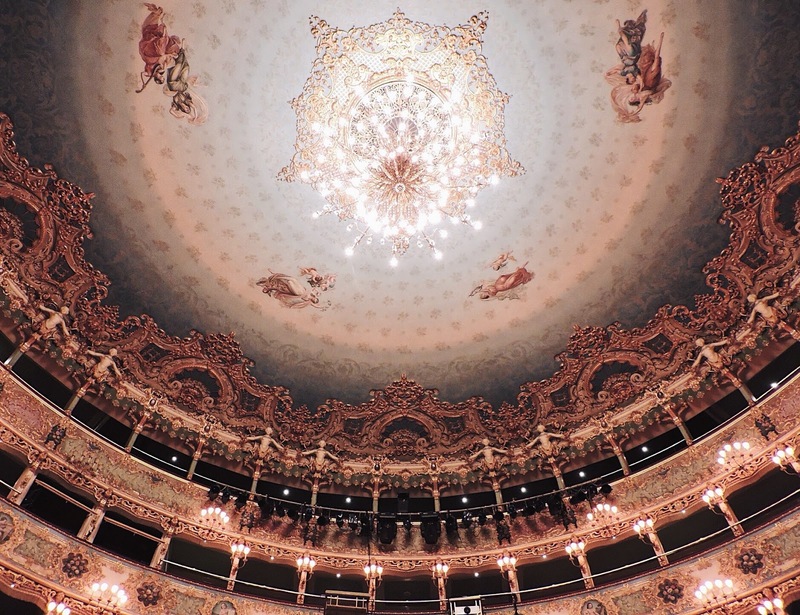 If so you must visit Teatro La Fenice. After being burned down not once, not twice but three times the theatre had to be reconstructed like it was before. The most recent fire was in 1996 and in 2004 it was opened to the public again. 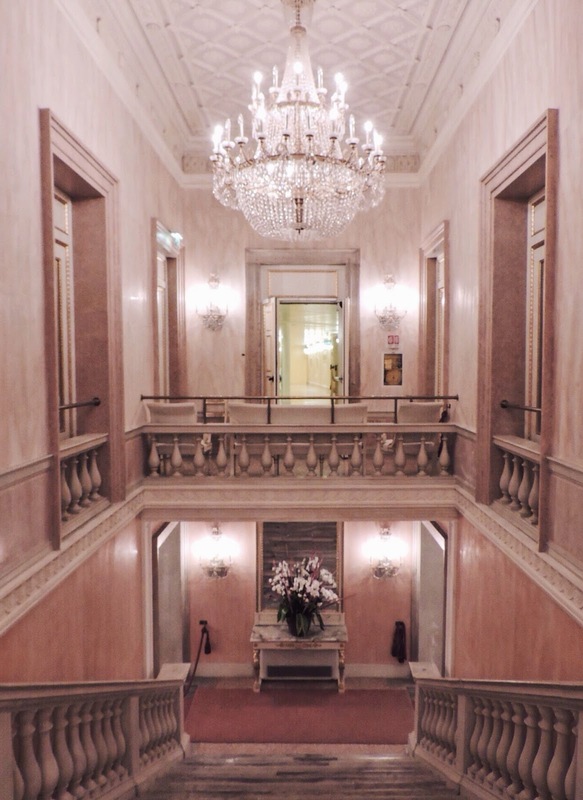 The total of €90 million was spent on the refurbishment. As pictured below I had the chance to check out the executive box and the gold detailing was miraculous! 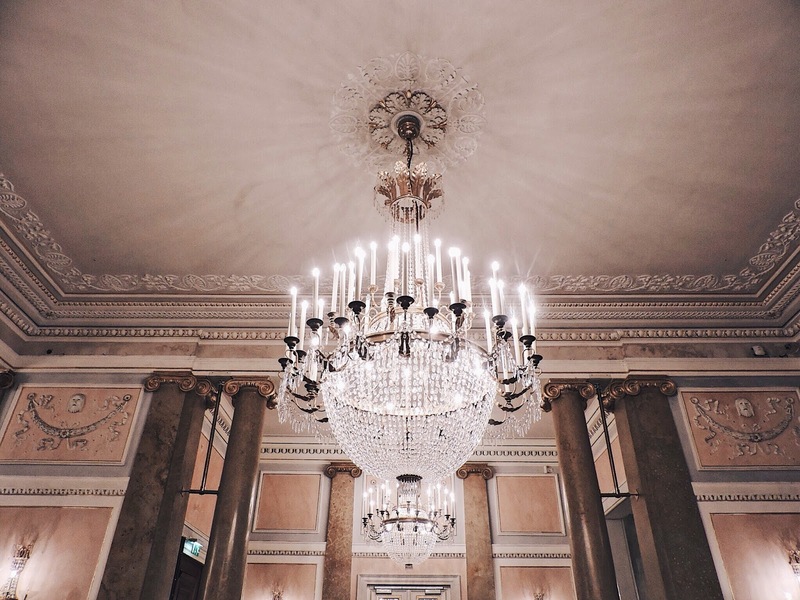 As you enter the Theatre you are greeted with fabulous plush pink interiors and dazzling chandeliers. If you want to take pictures you need to pay a small fee and they give you a sticker to wear. You can have an audio-guided tour of the whole theatre by the use of a phone-like device or you can go on their site and book to see a show! 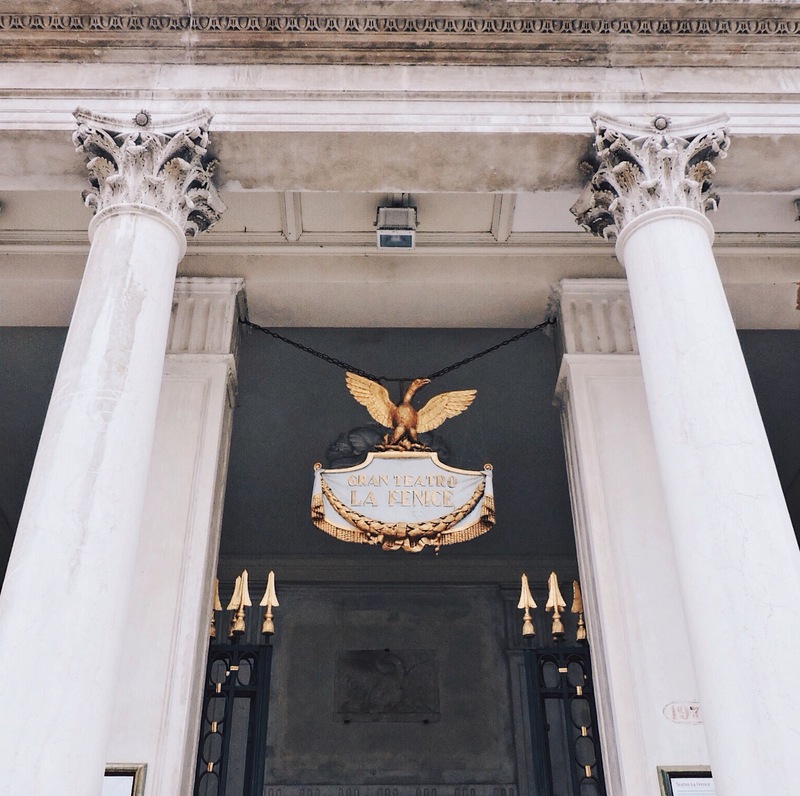 This museum is situated at the end of Piazza San Marco. 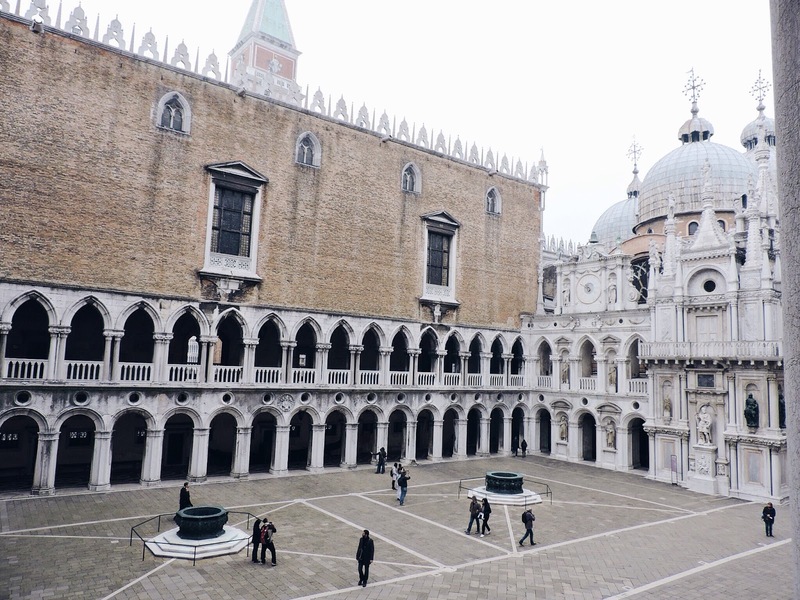 This museum breathes Venetian art and culture. 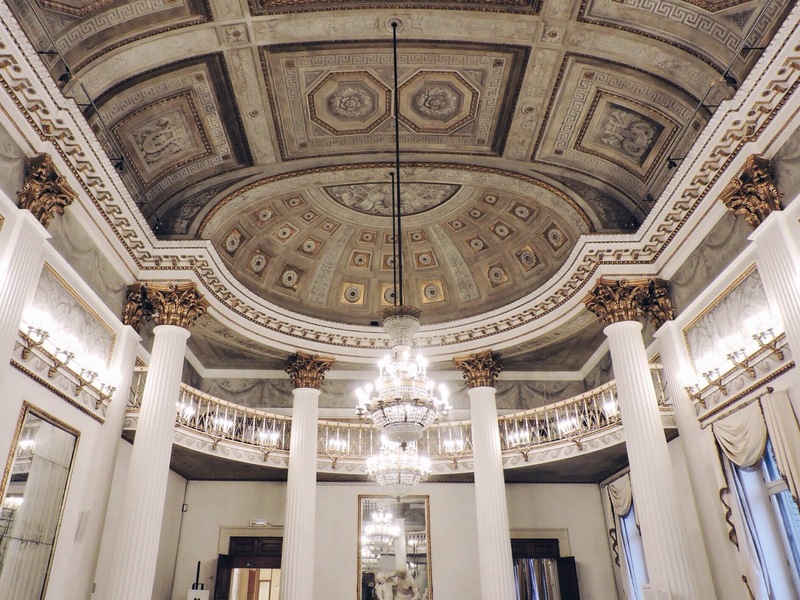 It started when Theodore Correr began a collection of Venetian history which is now housed in the Napoleonic Wing. 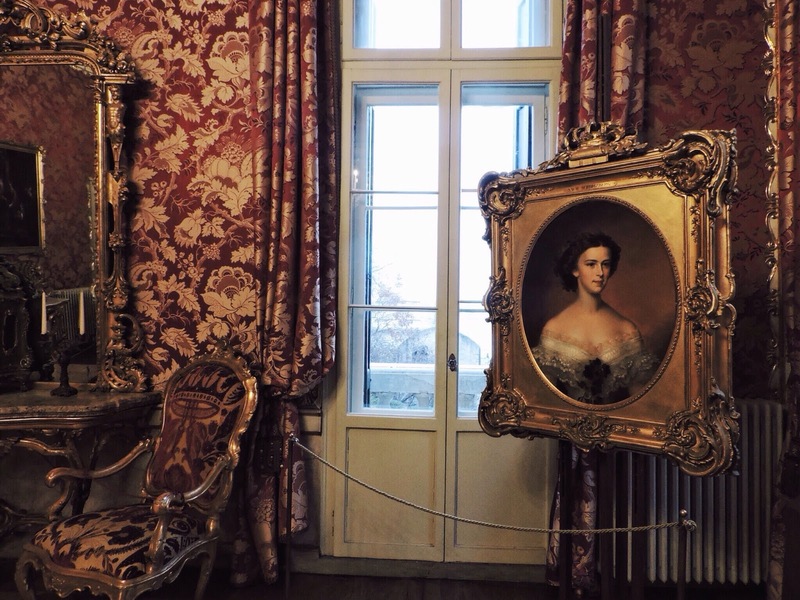 Only recently the rooms of where some of the Imperial rooms of the Royal Palace became open to the public, one room belonging to the empress of Austria, Elisabeth (Sissi). I would highly recommend this visit as you learn a lot more about Venetian history. 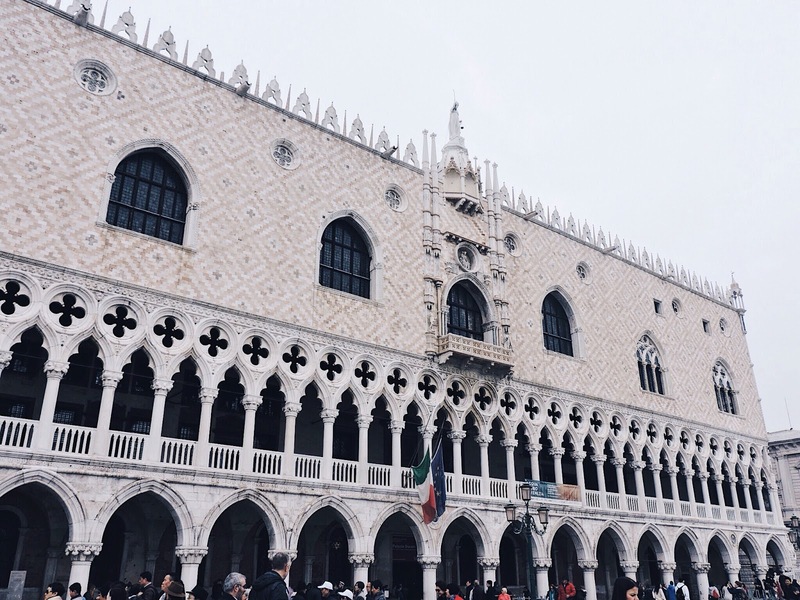 The good thing about this museum it is included in the €12 ticket you can buy which also covers Palazzo Ducale! 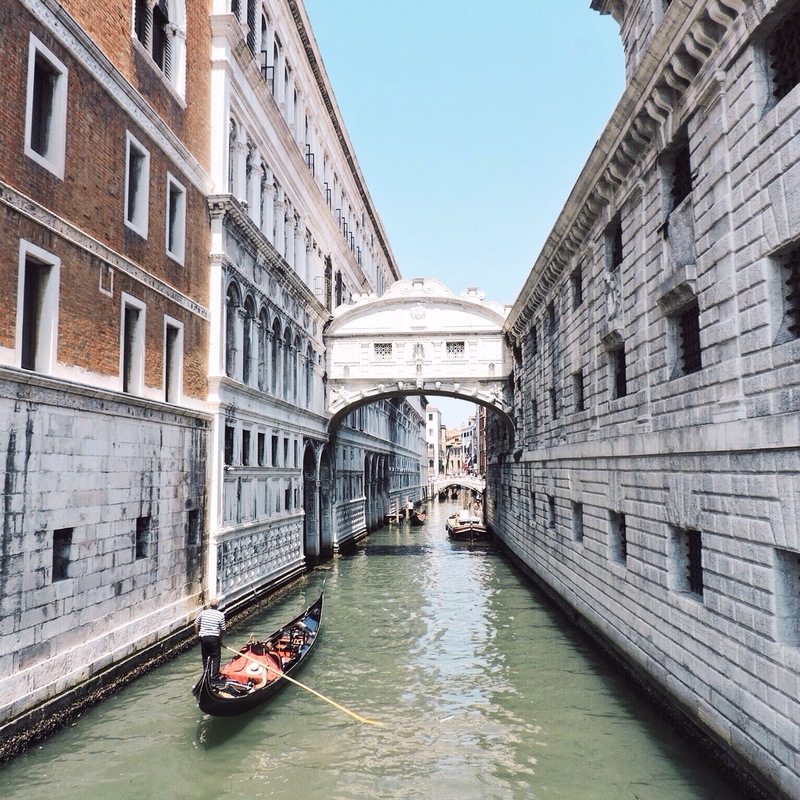 The Bridge of Sighs or in Italian, Ponte dei Sospiri, was a connector between a prison and the cells and interrogation rooms in Doge's Palace. They say it got it's name because the prisoners could look out one last time and sigh at the beauty of Venice before being taken down to their cells. 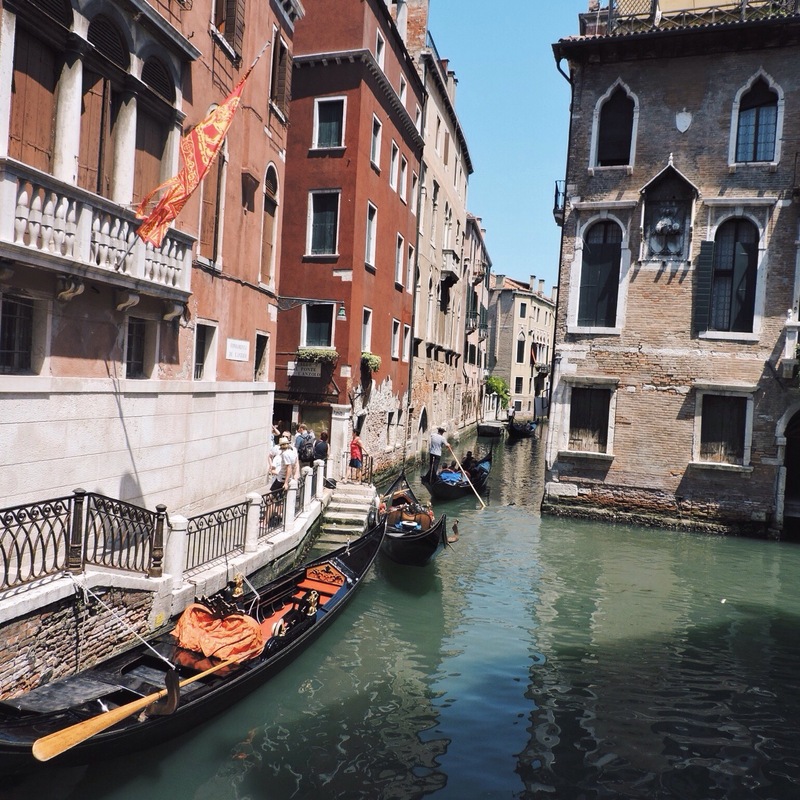 There is also a legend, if you take a gondola at sunset with your love, you are supposed to kiss underneath the bridge as the bells of St. Marks Basilica ring, this supposedly will grant eternal love! 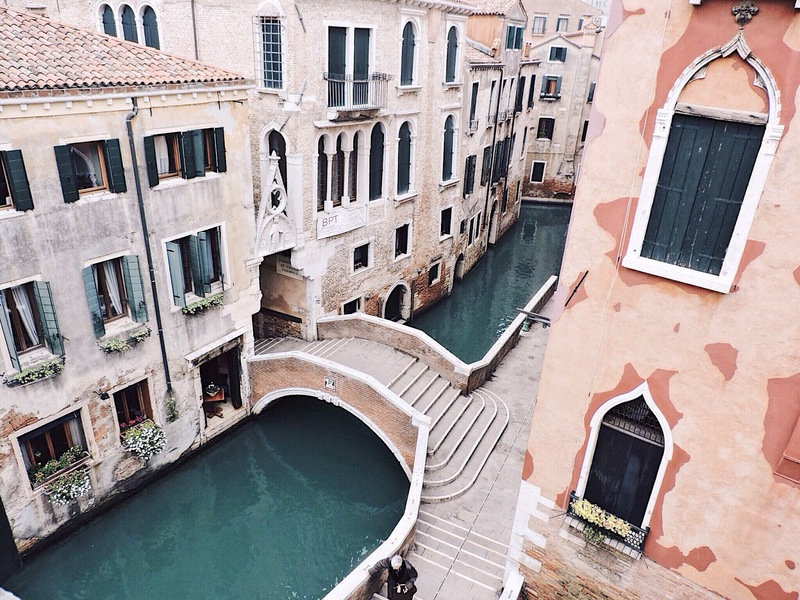 Getting lost in Venice will happen to you I promise. Even if you believe you know the tiny lane to your hotel, I promise you won't find it for at least the first 2 or 3 times. Having Visited Venice 3 times I could never find the first hotel I stayed in. Going back the second time I tried to see if I could find it, but no! Impossible as all the streets look the same! Don't worry I'm not trying to scare you, this is the best way to discover secret places of Venice. My favourite thing to do is to get lost in this beautiful city! Because Venice is so full of tourists (it's only downfall) I got to experience something wonderful. My last time in Venice, we had to leave very early for our train to Bologna so we experienced Venice at Dawn. 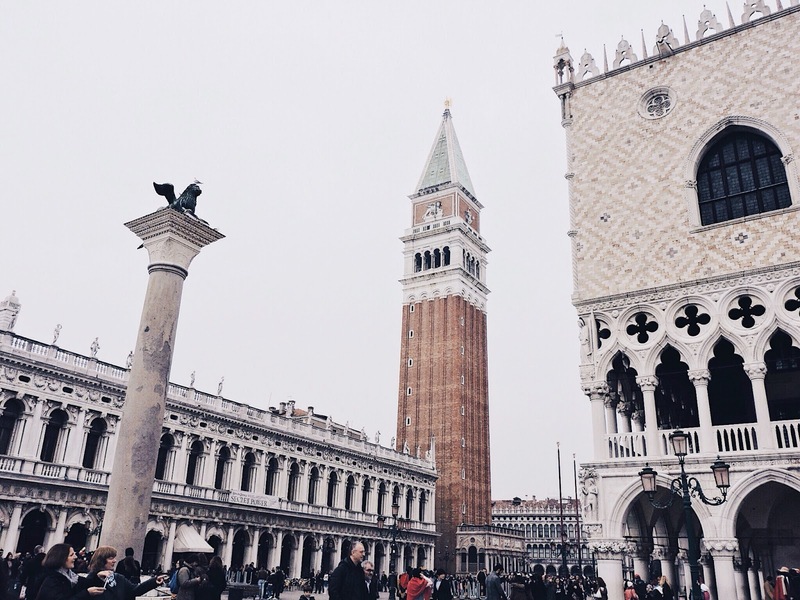 This is when I saw the true beauty of Venice. I saw workers on their boats bringing in food for nearby restaurants, I didn't see one person on a Gondola. I saw the water-bus bringing one or two people from A-B and that was it. It was us and the city and it was so calm and beautiful. Venice can get extremely hectic with all the people so I would advise waking up early to experience the quietness it also offers. If you have any more questions I would be happy to answer them. You can get me on my Snapchat and Instagram: CiaraSwalsh, my email ciaraswalsh@gmail.com or you can just comment below! 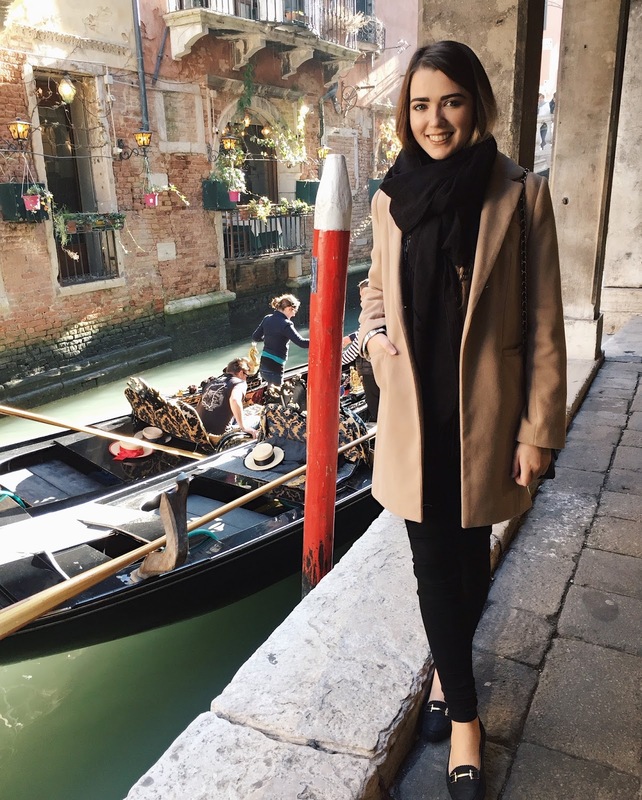 I hope you love Venice as much as I do and enjoy your trip! !